“This protest is aimed at influencing the judiciary and not forming a government,” he said. Addressing the media at the Finance Ministry yesterday, Minister Samaraweera said that “Namal is attempting to sacrifice the lives of his father’s supporters in order to escape from the alleged fraud and corruption charges. If you are expecting that the government will fulfill your wish, Namal Baby you will be disappointed,” the Minister said. The Minister assured that the government will not interfere with today’s protest and President Maithripala Sirisena and Prime Minister Ranil Wickremesinghe have already instructed not to obstruct this protest. “But, if it is a protest, it should definitely be a protest. If they attempt to destroy public property and inconvenience the public, the Government will strictly adhere to the law, Minister Samaraweera added. Recalling to the Roshen Chanaka and Rathupaswala incidents, the Minister said that the government will not target people engaged in protests,unlike the previous regime, because we accept the people’s right to protest. He further said that the main organiser of this protest, Namal Rajapksa is a suspect who has been released on bail. “That is why social media reported it as a “Horunge Rasthiyaduwak,” and not a public protest. Namal is alleged to have been involved in money laundering, though he pretends to be a hero. He cannot even go abroad without informing the court,” the Minister said. 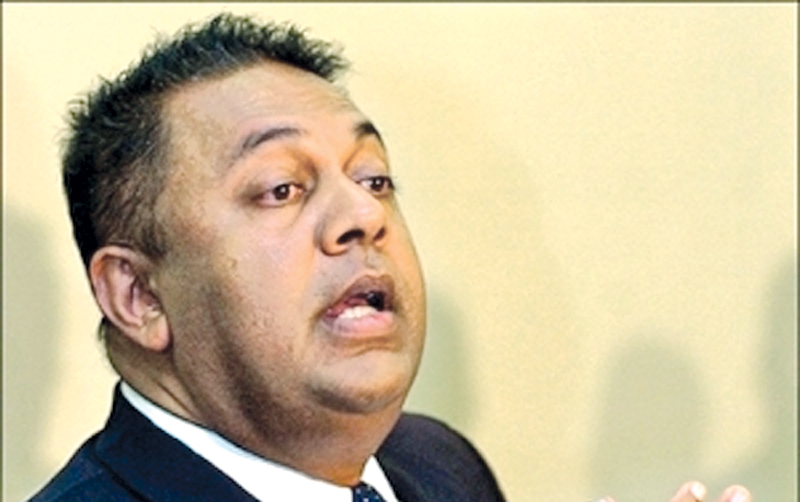 Minister Samaraweera further added that MP Namal Rajapaksa was arrested and remanded for alleged involvement in money laundering amounting to Rs. 45 million in two companies owned by the Rajapaksa’s and was released Rs.100,000 bail with four sureties of Rs 10 million each. Responding to a question by a journalist regarding the cancellation of bookings of five public grounds in Colombo, the Minister said that according to Colombo Municipal Council sources, no such cancellation were made. The Minister questioned as to why five grounds were booked if it is a public protest march. “After 2015, anybody has the freedom to oppose, criticise and blame the government. Sri Lanka is a country with seven star democracies. We do not need to be shy about that. This is a principle of a democratic country,” he said. “There are accepted guidelines to follow if someone engages in a protest. "They should inform the route and the place where they plan to convene, start and end the protest, to the police and other relevant authorities in order to ensure the smooth flow of traffic and ensure the security. But, nobody has informed the relevent authrotities regarding today’s protest,” the Minister said.